Join guest scientists and artists for a discussion about bio products and how they have worked together to create an amazing product featuring recycled materials. Experience their work first-hand for an interactive segment following the discussion. Dr. Nandika Anne D’Souza, Professor of Materials Science and Engineering and Head Polymer Mechanical and Rheology Laboratory, University of North Texas. Great for adults and older kids — or bring the whole family to enjoy this cooler-than-cool program. All you need to get in on the fun is the cost of general admission ($15 per adult), so purchase your tickets online early. Your exhibit hall ticket on the date(s) of Lab Remix will give you access to this program. 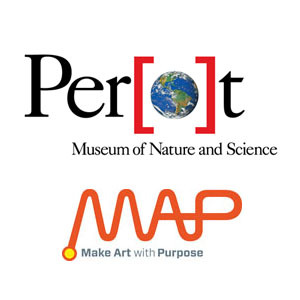 The Perot Museum will stay open from 10am-9pm first Thursdays. Come early and stay late!